To bring things up to date I like to go back into time and freshen up old posts. And that’s what I’m doing with this review of P90X Plus. I remember being all excited to do P90X Plus when I heard it was released. And why wouldn’t I be? I had just finished my second round of P90X and loved the results. What could be better than P90X than more P90X? As soon as I could buy P90X Plus I did. And waited for the dvds to show up at my house. Interval X Plus: A 40 minute HIIT type workout. I liked this one the most. Kenpo Cardio Plus: A continuation of Kenpo X from P90X. It was ok. 40 minutes. Upper Plus: For 40 minutes it was good but not great. Nothing like P90X Chest & Back. Total Body Plus: Similar to Core Synergistics from P90X. 45 minutes. Abs/Core Plus: Different than Ab Ripper X from P90X in that Tony Horton gets you hanging from the pull up bar. Its pretty good for a 20 minute ab workout. I’d like to tell you I liked P90X Plus but that would be a lie. I might be nitpicking a little here but the production value from Beachbody wasn’t as good as P90X. It felt like Beachbody made P90X Plus quickly to continue on the success of P90X. I have no before and after photos to share from P90X Plus as that is not what this workout is about. When I received P90X Plus I did a couple weeks of the workouts one after another. Outside of “Upper Plus” the other four are mostly total body workouts which are ok but I prefer workouts that target specific muscle groups. 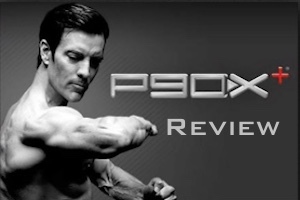 Tony Horton and the cast set a quicker pace through P90X Plus versus P90X. A change of pace from time to time is nice but if you have done P90X then you may get bored with P90X Plus. Not once did I mix P90X Plus workouts into another round of P90X or create a hybrid workout. 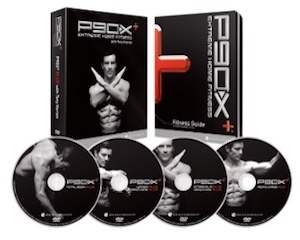 If you would still like to try P90X Plus you can still buy the dvds for $60. But its 2018 and buying dvds is out of style. So don’t do that. What you should do is start a 14 day free trial of Beachbody On Demand where you can stream P90X Plus and the entire catalog of Beachbody workouts anywhere and anytime. Here it is 2018 and not once in the past eight years have I thought about adding any of the P90X Plus workouts to a hybrid program or just doing one of the workouts for shits and giggles. It’s not that Tony Horton made some bad workouts. It’s that the P90X workouts were that much better and with me doing P90X I was conditioned to the intensity and duration of P90X workouts. P90X Plus is not like that. And it’s why the dvds I bought have been sitting around collecting dust the past eight years.